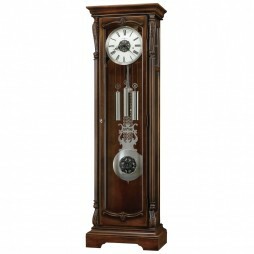 Incomparable workmanship with a unique design, this Howard Miller Chaplin III 615-069 Floor Clock in gloss white will create a functional focal point for your house. 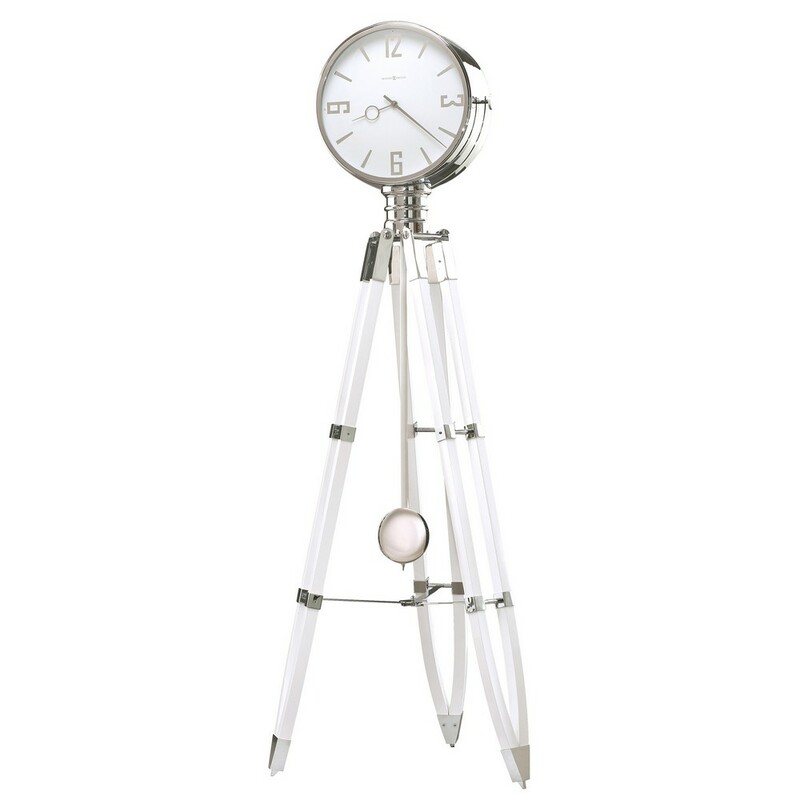 The clock’s detailed tripod and bezel design is inspired by the retro Hollywood movie lights and features metal accents finished in polished chrome to give an enticing look. 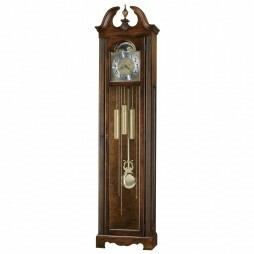 With a quest for perfection, this beautiful timepiece also includes volume control and automatic nighttime chime shut-off switch to deliver unsurpassed quality. A large, stationary white dial includes chrome finished Arabic numerals with hour and minute hands, and is surrounded by a polished chrome-finished bezel. 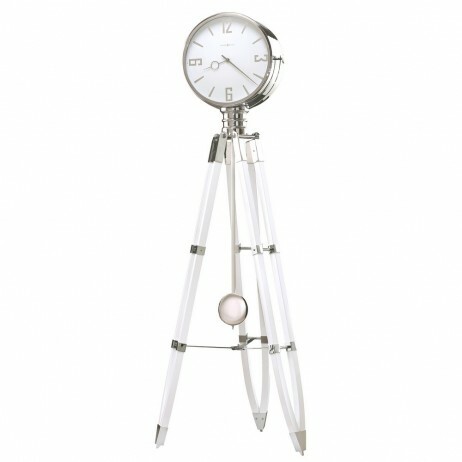 The polished pendulum bob is suspended on a High-gloss White finished wood stick. 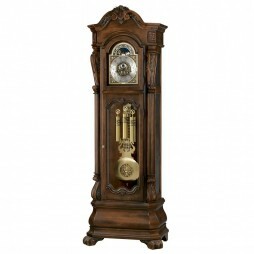 Quartz, Triple-chime Harmonic movement plays either Westminster or Ave Maria chime every quarter-hour, or Westminster or Bim-Bam chimes on the hour. 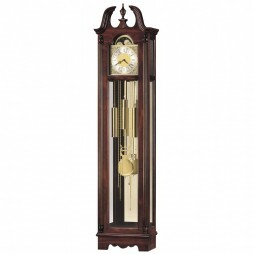 This fun looking and attractive Howard Miller Wellington Grandfather Clock is a perfect addition to your room. Flat top pediment is enhanced with distinctive columns with four carved caps that frame the door. Beveled glass on all sides adds to the elegant appearance. A brushed nickel bezel surrounds the soft ivory dial, featuring black Roman numerals and an antique nickel finished, decorative center disc. This clock is a perfect gift to a friend as well.